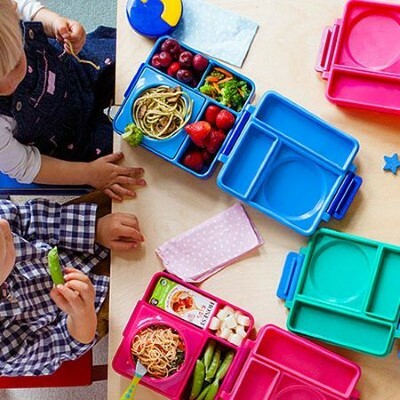 OmieBox is the smarter bento box for healthier and hot lunches. 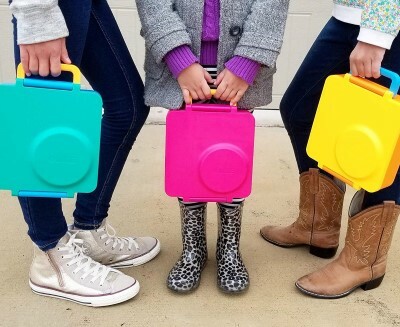 The OmieBox lunch box is an award winning, beautifully designed bento box with a removable insulated bowl that keeps food warm up to 3-4 hours, and a separate temperature zone in the side compartments so you can also store cold food in one lunch box. 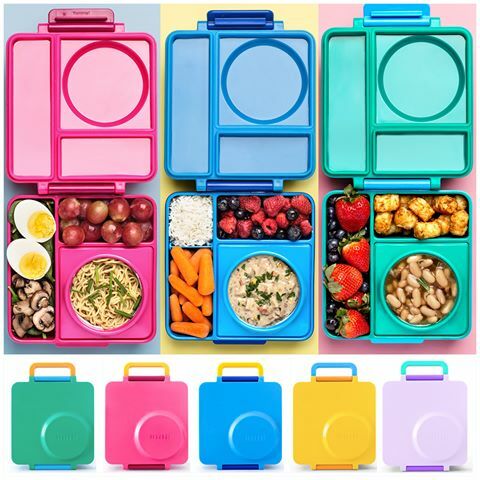 Pack healthy, snacks, soups, salads, pasta’s and much more. 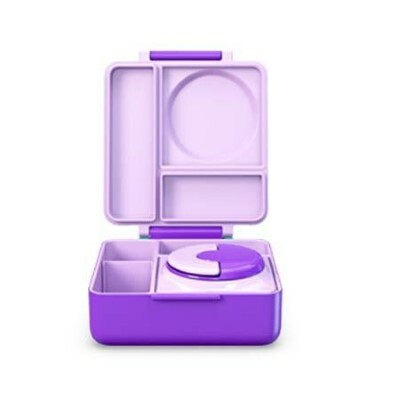 Omie box is leak‐proof when the insulated bowl and lid is packed. 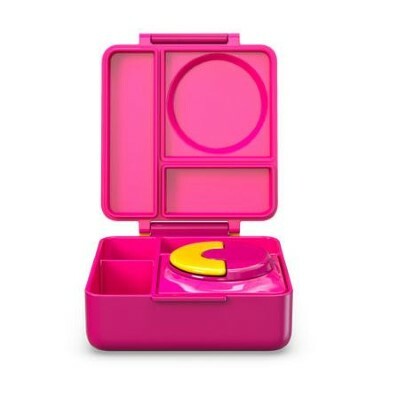 Note: the square compartment is only leak‐proof when you use the insulated bowl and lid. 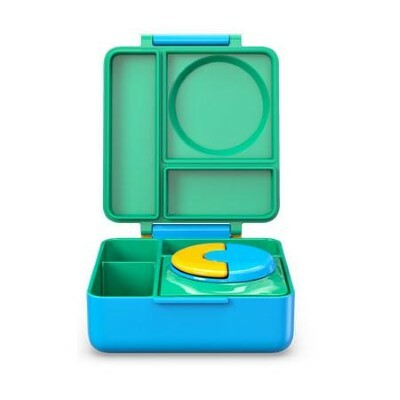 The square compartment is only intended for sandwiches and other dry foods when the insulated bowl isn’t packed. 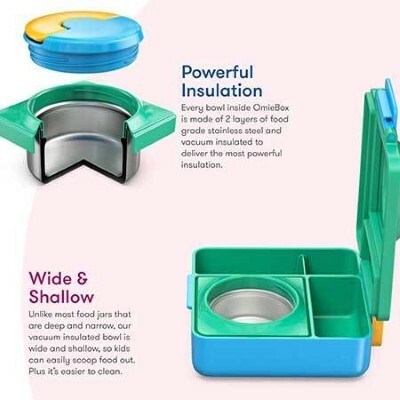 Enjoy yummy hot lunches with a removable vacuum insulated bowl that stays warm till lunchtime (insulated bowl will keep food warm for up to 3-4 hours). 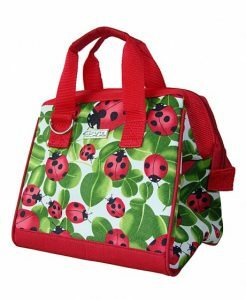 Separate temp zones – insulated side compartments keep fruit & vege’s cool. 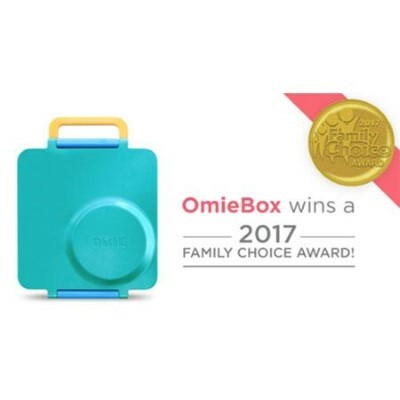 OmieBox is BPA‐free, Phthalates‐free. It is also CPSIA and FDA compliant. Top rack Dishwasher safe, but we recommend removing before the head dry cycle. To retain max. insulation results handwashing the insulated container is recommended. Capacity approx. 1480ml capacity without insulated container. 960ml capacity with insulated container inside. Weight: 860g with insulated container; 545g without insulated container. 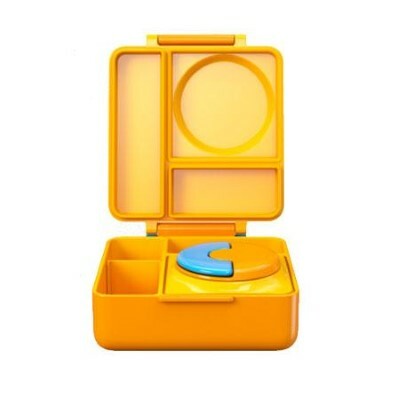 Materials – OmieBox is made of ABS, PP, silicon, and 18/8 food grade stainless steel. 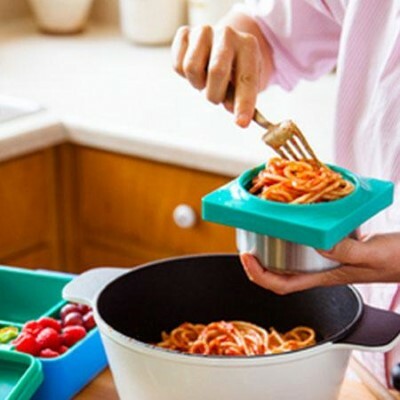 Care Instructions – Hand washing recommended for longevity of the product, but it is top rack dishwasher safe if removed before the heat dry cycle. Not Microwave safe.